As a professional photographer, it’s important to me to maintain a simplistic and organized workflow, and to have all of the tools easily at my disposal to execute my vision, whatever that may be. The extent of my editing process varies from shoot to shoot, depending on the type of shoot, desired look, or needs of the subject. 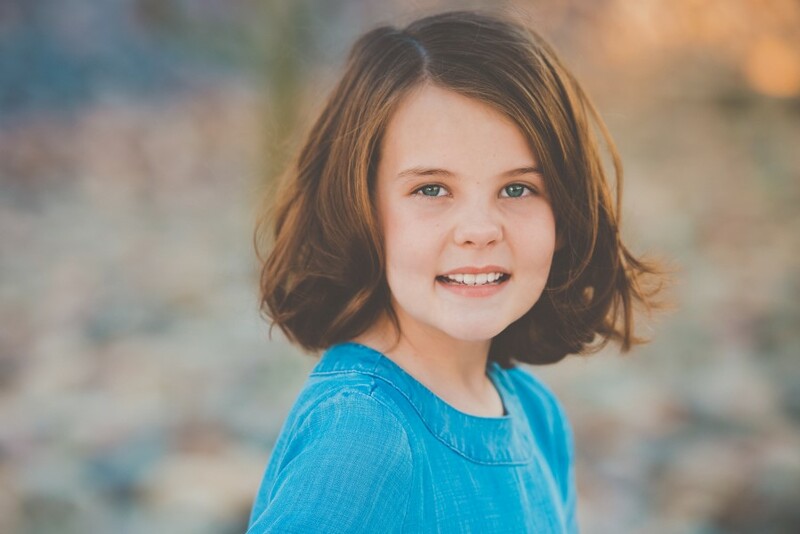 Photographs with one subject as the focus, such as headshots, glamour portraits or boudoir-style shots, entail much more editing than, say, event photos. 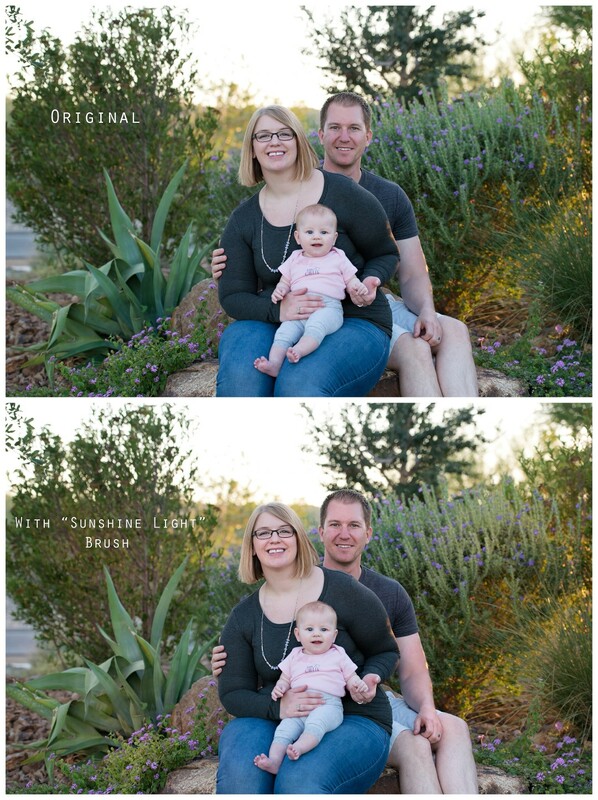 Even photos with multiple subjects, like in family portraits, may require more extensive editing. 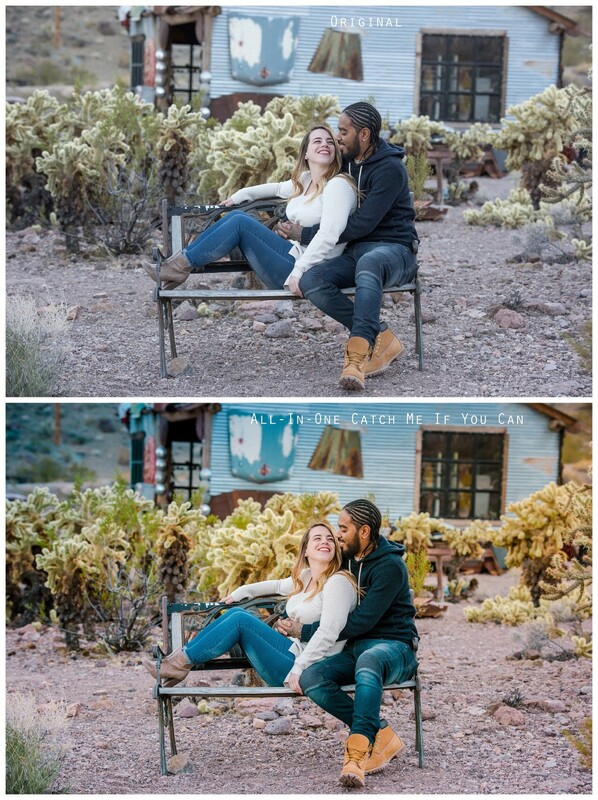 Because I am a custom photographer, every photo shoot has its own unique approach. Before I get to the review, it’s important that you understand what my regular workflow looks like. By “workflow,” I’m specifically referring to the process that begins after a photo shoot takes place. If this was 1985, I would be telling you about rolls of film and dark rooms (but I would NOT be giving you a review on this product, as it wouldn’t exist). This isn’t 1985; it’s 2018… and photographers these days, use an SD card instead of a roll of film. We also use computer software (i.e. “digital darkroom”) instead of a traditional darkroom. Not very exciting, I know, but it is what it is. 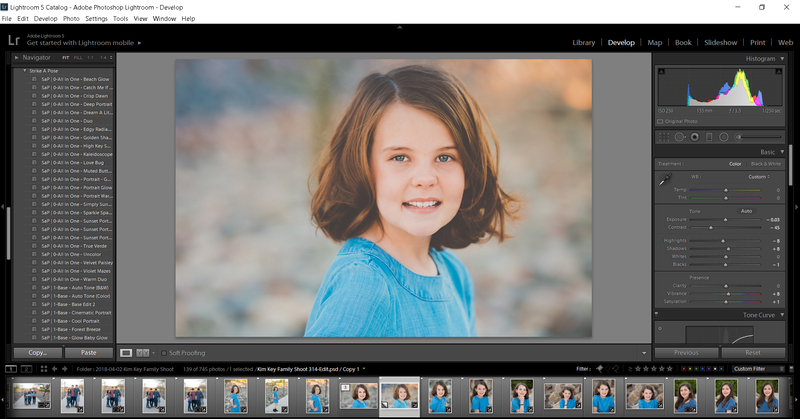 Sort through photos in Lightroom, narrowing down the collection to the best of the best. Make basic adjustments in Lightroom that may include adjusting white balance, color balance, exposure, saturation, contrast, etc. Continuing in Photoshop, work toward achieving my desired style and mood for a photo, and give it that professional finish. This may include applying actions and overlays to give the image a pop, enhancing color tones, softening or sharpening elements of the photo, removing distracting elements, and so much more. In most cases, I try to keep the photo looking timeless and natural, rather than too processed or trendy. Save the final product, which is automatically exported to the Lightroom catalog. That’s my approach to editing and I think it works just fine. Some photographers stay away from Photoshop and work mainly with Lightroom, as they strive for complete simplicity. Because I offer my clients more extensive editing as part of the custom photography service they pay for, I like to have the ability to get as finite as possible in every detail, when necessary. However, some of my work doesn’t require that extensive of editing, and, depending on the shoot, it’s likely that I could stick with just Lightroom for the entire process. The “make it or break it” for me would be whether or not I have the amount of control I like and need to execute my vision. According to the SleekLens representative who contacted me, Strike a Pose Portrait Workflow was designed for portrait photographers who are “looking to cut down time spent editing their photos and get better results.” She had me at “cut down time.” “Better results” was definitely a bonus (I mean who wouldn’t love better results?). SleekLens offered me two different products to review. I had the option to choose between Portrait Perfection Photoshop Actions and Strike A Pose Portrait Workflow. 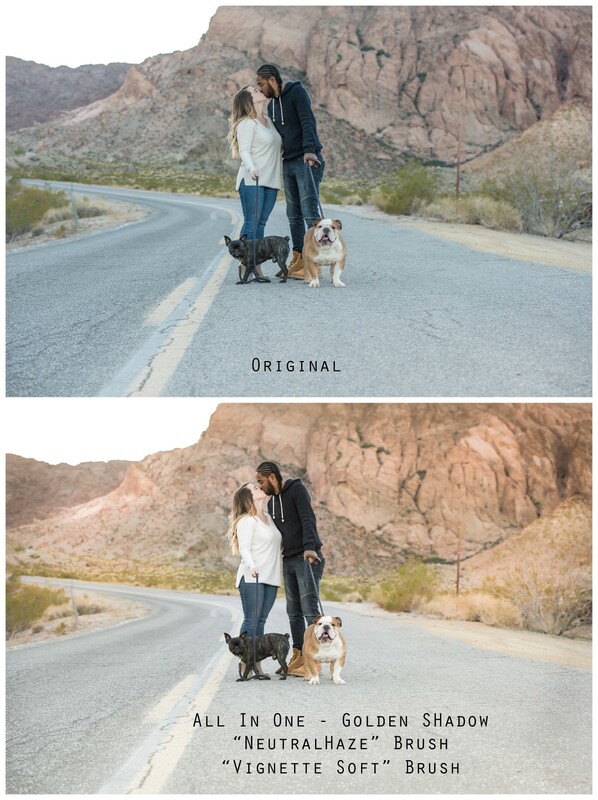 The primary difference between the two were that one came as actions to be used in Photoshop and the other was presets used in Lightroom. 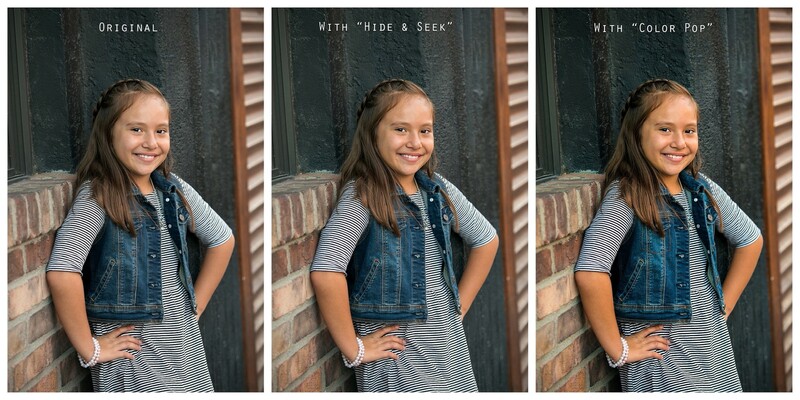 Both presets and actions allow a photographer to make changes to a photo instantly. 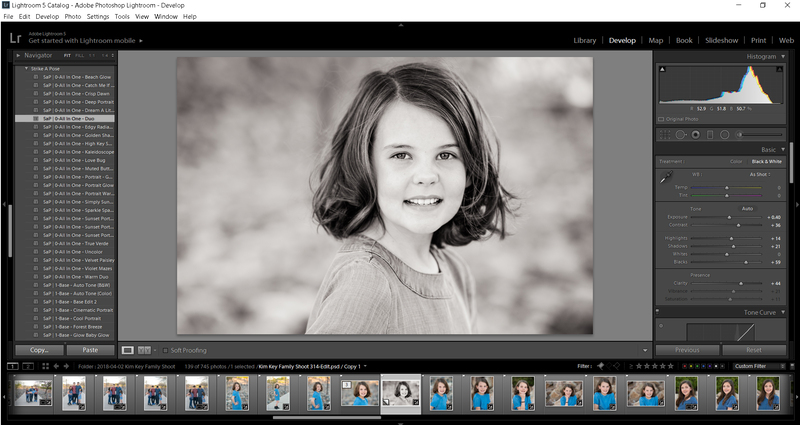 However, unlike actions, presets cannot be further customized beyond the Lightroom adjustment sliders. You cannot alter the opacity of an effect with presets, which is a downside for those like myself, who enjoy very subtle enhancements. With actions, you can. I’ll just be entirely frank and say that I’ve never been a big fan of presets, because I like to have complete creative control of my photos, and I also fancy very subtle, more natural adjustments. If I’m actually going to alter the look of the original image, I don’t want to just be stuck with a preset. When it comes to control, I want the whole shebang! Presets and actions are not the only differences between the two different products that SleekLens offered me to review. One other key distinction is that the Lightroom product (Strike A Pose Portrait Workflow) has custom brushes, and the Photoshop product (Portrait Perfection) does not. I knew that if I could learn to love using brushes within Lightroom, it might just end up being a game changer when it comes to speeding up my workflow. So, with that in mind, I decided to step outside of my comfort zone, give up control, and go for a more simplistic experience by choosing Strike A Pose Portrait Workflow. My logic was that, although it would be great to have another Photoshop actions product, it probably would not simplify anything for me. I mean it would just be the same old thing. Strike a Pose is different than other presets, in a good way. Like other preset products, this one offers what SleekLens calls “All-in-One” presets, which alter the entire image in just one click. I was impressed by the number of more natural options, unlike other preset products I’ve played with. Some of the black and white options were very beautiful. 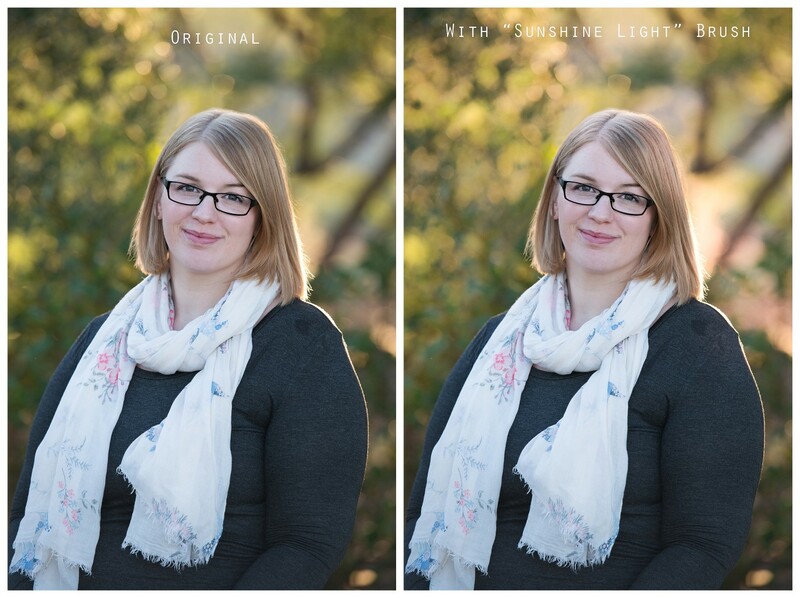 There were also some matte looks that were subtle enough to use on the right photo (in other words, it wasn’t obvious that it was a preset). Of course, there were also a handful of “All-in-One” presets I didn’t like, but maybe with a different photo, they could work. I applied each of the different “All-in-One” presets to that same photo, and found a few that looked nice. My favorite was “Love Bug,” which gave the photo a warm, almost fiery glow. However, being the custom photographer that I am, I made a few slight changes to the adjustment sliders in the Development Module (the panel that appears to the right of the image in Lightroom). Those included decreasing Exposure from +0.48 to -0.03, decreasing Vibrance from +17 to +8, and changing the temperature from a warmer level to a cooler one. After applying “Love Bug” to the image, I decided to play around with the Custom Adjustment Brushes. 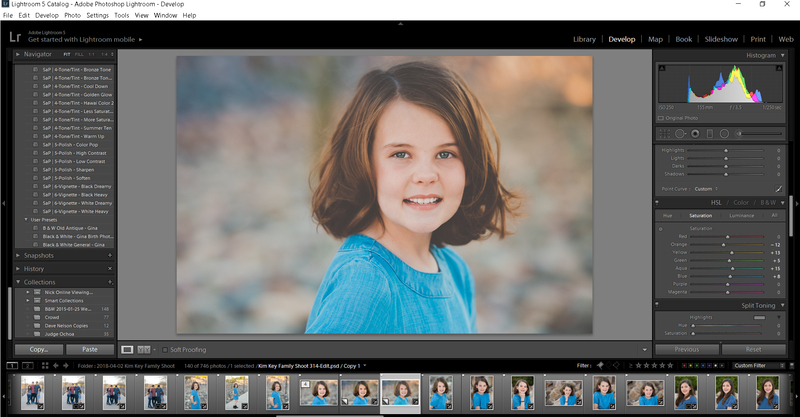 (Just an FYI: SleekLens is the first company I’ve ever seen offer Custom Adjustment Brushes in Lightroom. I thought that was pretty neat.) I counted approximately 60 Custom Adjustment Brushes, which is quite impressive. Overall, I was satisfied with the final results. Sleek Lens not only offers Custom Adjustment Brushes, and All-In-One presets, but they also have this feature known as “Stackable Presets,” which is something I have never before seen in a Lightroom preset. What makes these special is that you can actually stack a number of various presets on top of one another, further transforming the image with each preset (as long as that preset is a stackable preset). This allows for much more customization than most presets offer. Okay, so now let’s stack some of the stackable presets on it, starting with “Base – Hide & Seek,” which gave it a bit of a darker look, which I like. I think the vignetting may be a little too dramatic for this shot, but I wanted to show you how the stackable presets work. So, there you go. Stackable presets are really cool in theory, but I’m not sure that they really give you all that more customization. 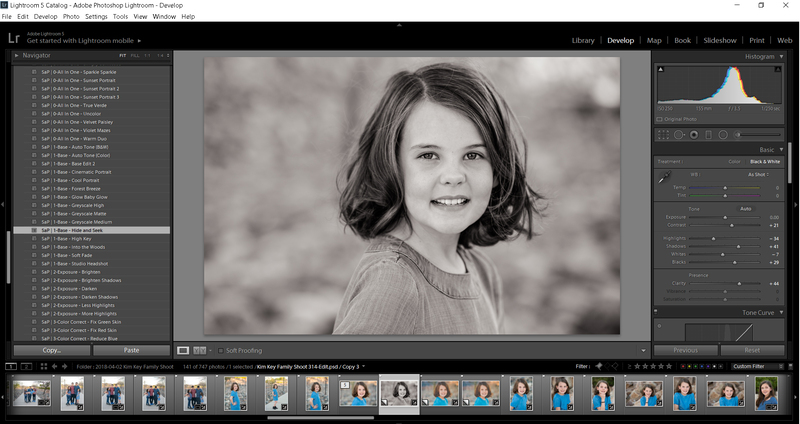 But, then again, I’m not exactly the Lightroom presets guru. So, please be sure to read other reviews regarding that feature, before you decide if that’s a selling point or not. Overall, I would say that SleekLens Strike a Pose Portrait Workflow, is an excellent product for those interested in Lightroom presets. I would highly suggest this product for newer photographers and hobbyists. 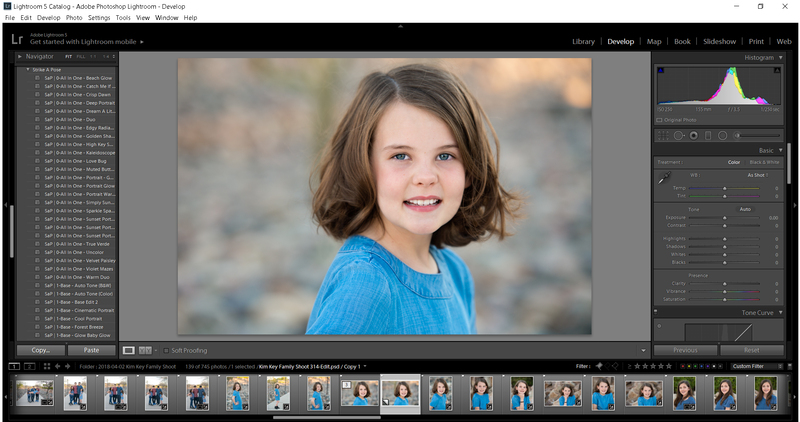 As a professional photographer, I appreciated that it got me using Lightroom adjustment brushes more, which did cut down on editing. I think for the right photographer (i.e. NOT a control freak like myself) this would be a perfect product. 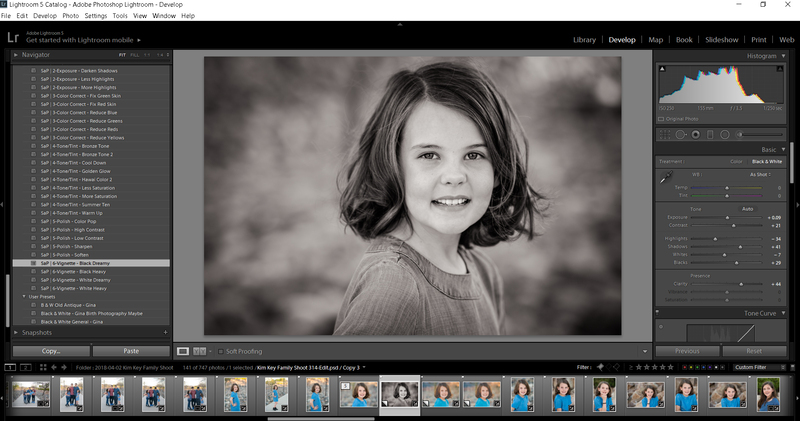 Strike A Pose Portrait Workflow by SleekLens currently retails at $31.00 for the Lightroom presets version. For more information, please click here for their website, and click here for SleekLens’ Pinterest board, where you will find plenty more examples of this product and others.